In irregular flight path, Iranian 747 packed with weapons flies directly from Tehran to Beirut. Flight part of militia arms buildup. In a highly irregular move, a 747 packed with Iranian weapons destined for Hezbollah flew directly from Tehran to Beirut's Rafic Hariri Airport on Thursday. According to reports, a 747 registered as EP-FAB, took off this morning at 8:02 am from Tehran to Beirut on flight QFZ9964 and landed in Lebanon at 10:19 am. The plane was operated by Fars Air Qeshm, an aviation company owned by Iran's Revolutionary Guard Corps to ferry weapons to Hezbollah. According to the website Intelli Times, the plane carried equipment to convert Hezbollah's rocket arsenal to precision missiles capable of hitting sensitive sites within Israel. Iran’s Fars Air Qeshm airline has long been accused of flying arms for the Islamic Revolutionary Guard Corps (IRGC) and the elite Quds force led by Iranian Gen. Qassem Soleiman. Last year, the Trump administration imposed sanctions on the IRGC and Quds force. The airline had ceased operations in 2013, citing poor management, but restarted under new management in March 2017. It is said to have two Boeing 747s in its fleet. Among the members of the company’s board are three IRGC representatives, named in the report as Ali Naghi Gol Parsta, Hamid Reza Pahlvani and Gholamreza Qhasemi. 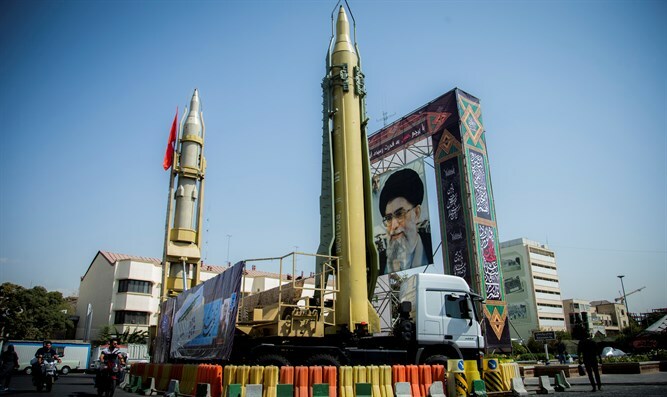 While Iran has invested considerable efforts to transfer advanced missiles to Hezbollah, it commonly flies from the Islamic Republic to Syrian air force bases, making the flight path highly irregular. Western intelligence has already tracked two similar flights within the past few months. In September, Fox News reported that a Boeing 747 that departed from an air force base in Tehran, stopped for a short layover at the international airport in Damascus, Syria, and then continued with a rather “uncharacteristic flight path” to the Beirut international airport, where it landed shortly after 4:00 p.m. local time. According to flight data obtained by Fox News, the route passed over northern Lebanon, not following any commonly used flight path.